The primary source for the knowledge about God is the Bible. The Old Testament does not provide a systematic doctrine of God. The God of the Old Testament is revealed in what he does and in what he says about himself. One book that most Christians have never heard of, but one that most Christians should read, is Gerald L. Schroeder’s, God According to God: A Physicist Proves We’ve Been Wrong About God All Along. Schroeder has a PhD in physics and the earth sciences. He is a scientist who believes in God and who seeks to present an honest view of God as he is revealed in the Hebrew Bible. Today I begin a series of studies on the character of the God of the Old Testament. The aim of this series of study is to address one of our preconceived views about the God of the Old Testament. This series of study will focus on the character of God, paying particular attention to what I have called “the intergenerational punishment statement.” The intergenerational punishment statement is found in Exodus 34:7. Intergenerational refers to an issue or a problem affecting several generations. The intergenerational punishment statement in Exodus 34:7 refers to Yahweh visiting the sins of the father over several generations: “yet by no means clearing the guilty, but visiting the iniquity of the parents upon the children and the children’s children, to the third and the fourth generation” (Exodus 34:7). By dealing with preconceived ideas about the intergenerational punishment statement in Exodus 34:7, people of faith will know the real God of the Old Testament, the God who also became human and lived among us. Before my retirement from Northern Baptist Seminary, I spent many years teaching a course titled “OT 458 Old Testament Theology: The God of the Old Testament.” The primary aim of the course was to study the nature and character of the God of the Old Testament. Every year, in our first class, I told my students that Christians believe in God, but most Christians do not know the God in whom they believe. This is most evident when it comes to the God of the Old Testament. The reason for this lack of knowledge of the God of the Bible is because most of our knowledge of God comes by word of mouth. A few Christians read theology books which provide a chapter on the doctrine of God, but few Christians spend much time studying what the Old Testament says about God. The Old Testament does not provide a systematic doctrine of God. The God of the Old Testament is known by what he does and by what he says about himself. The God of the Bible is the God of revelation. Unfortunately, I believe that the God presented by Gregory Boyd in his book, The Crucifixion of the Warrior God: Interpreting the Old Testament’s Violent Portraits of God in Light of the Cross, resembles the God that Dawkins describes because Boyd’s true God is hiding behind a mask. In order to explain divine violence in the Old Testament, Boyd placed “a mask of ugliness” on God. This mask, unfortunately, hides the true nature of the merciful and gracious God. This masked God is a violent, genocidal God, a God who gave Israel a promise that God knew it was destined to fail, a God who caused mothers to cannibalize their own children, a God who accomplished evil work through evil agents. This is what Greg Boyd (2017:1261) says about Yahweh, the God of the Old Testament: “On the cross, Jesus exposed this sinful god-in-our-own-image to be the blasphemous lie that it is. On the cross, the diabolic violent warrior god we have all-too-frequently pledged allegiance to has been forever repudiated and ‘brought to nothing.’” I believe this God Boyd is describing, this masked God, is not the God who calls himself “a God merciful and gracious, slow to anger, and abounding in steadfast love and faithfulness” (Exodus 34:6). Like Boyd, I also believe that the answer to divine violence is found on the cross, where Yahweh, the warrior God of the Old Testament, died. Boyd says that the true character of God was revealed on the cross, but I contend that the true character of God was revealed in what God said about himself when he revealed his character and nature to Moses on Mount Sinai. Although the cross is the supreme revelation of God, the warrior God who died on the cross is the same God who revealed himself to be the gracious and merciful God to the people of Israel. After all, Yahweh, Israel’s warrior who died on the cross is none other than Jesus Christ himself. Jesus Christ is the embodiment of the God of the Old Testament. Jesus Christ is truly God and truly man. As Boyd wrote, “John is arguably identifying Jesus as Yahweh by depicting him as identifying himself with the ‘I Am’ of Exodus 3:14” (2017: 63). To paraphrase John, “In the beginning was the Word, the Word was God, and God became a human being and lived with us” (John 1:1, 14). Jesus said: “The Father and I are one” (John 10:30). In his article, “YHWH and Jesus in One Self-same Divine Self,” MacDonald said that “Jesus is YHWH’s visible conception of himself” (MacDonald 2013:23). For Boyd, the cross is the key that unlocks the true meaning of divine violence in the Old Testament. I contend that what Yahweh said about himself, the revelation of his true character and nature to Moses, is the only way we can truly understand Old Testament texts that display divine violence. I hope that this series of studies on the nature and character of God will provide a small picture of how the statement on intergenerational punishment can shed some light on divine violence. The larger picture, the proper understanding of divine violence, will have to wait for future posts. To summarize the content of this larger picture: “In Christ God was reconciling the world to himself” (2 Corinthians 5:19). But the fact is, that God has been reconciling the world unto himself since Eden. The Old Testament is the story of God redeeming his fallen creation before Christ, a story that began in Eden and will end with the establishment of the new heaven and the new earth mentioned in Revelation 21:1. In revealing what kind of God he was, Yahweh passed before Moses, and proclaimed, “Yahweh, Yahweh, a God merciful and gracious, slow to anger, and abounding in steadfast love and faithfulness, keeping steadfast love for the thousandth generation, forgiving iniquity and transgression and sin, yet by no means clearing the guilty, but visiting the iniquity of the parents upon the children and the children’s children, to the third and the fourth generation” (Exodus 34:6-7). Boyd believes that the revelation of God’s character to Moses on Mount Sinai is “the normative conception of Yahweh” in the Old Testament. He wrote (2017: 282): “A clear expression of the normative conception of Yahweh in the OT is Moses’s confession that Yahweh is a ‘compassionate and gracious God, slow to anger, abounding in love and faithfulness, maintaining love to thousands and forgiving wickedness, rebellion and sin’ (Exod 34:6–7).” In citing God’s revelation of his nature and character to Moses, Boyd deliberately omitted the last clause of the confession which reads: “yet by no means clearing the guilty, but visiting the iniquity of the parents upon the children and the children’s children, to the third and the fourth generation” (Exodus 34:7). The reason for omitting the intergenerational punishment statement found in Exodus 34:7 is because Boyd, referring to the statement as it appears in Exodus 20:5, said (2017: 838, note 58): “Ezekiel specifically taught that children are never punished for their parent’s sin (Ezekiel 18). This insight arguably corrects the earlier Israelite conception of Yahweh “punishing the children for the sin of the parents to the third and fourth generation (Exod 20:5).” Boyd’s statement, that “Ezekiel specifically taught that children are never punished for their parent’s sin (Ezekiel 18),” is wrong, but an explanation for why this statement is wrong will have to wait until Ezekiel’s view is studied in context in a future post in this series. That post will deal with Ezekiel’s statement on individual responsibility. The intergenerational punishment statement appears in four texts in the Old Testament: Exodus 20:5; 34:6-7; Numbers 14:18-19; and Deuteronomy 5:9-10. In his book Boyd lists all four texts that mention intergenerational punishment. However, he only discusses two of them. Boyd does not address the references to intergenerational punishment in Numbers 14:18-19 and in Deuteronomy 5:9-10. 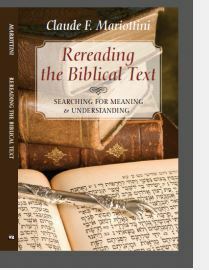 These two texts that Boyd failed to discuss in his book provide important insight for the proper understanding of intergenerational punishment in the Hebrew Bible. People writing about “the dark side of God” and books dealing with divine violence in the Old Testament are horrified with the intergenerational punishment statement. They called it unjust, merciless, unfair, and unreasonable because God punishes innocent children for the wickedness of their fathers. However, in every one of these books, no one has done a study of these four passages to see how the intergenerational punishment statement is applied in real life situations. I believe that a detailed study of these four texts is important for anyone who seeks to know the true character of the God of the Old Testament. In upcoming posts, I will study these four passages and look at the historical context that serve to illustrate how these texts were applied to the people of Israel. 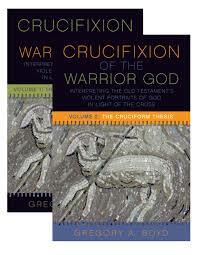 Boyd, Gregory A. Crucifixion of the Warrior God: Interpreting the Old Testament’s Violent Portraits of God in Light of the Cross. 2 Vols. Minneapolis: Fortress Press, 2017. MacDonald, Neil B. “YHWH and Jesus in One Self-same Divine Self: Christological Monotheism as an Experiment in Objective Soteriology.” American Theological Inquiry 6 (2013): 23-36. Schroeder, Gerald L. God According to God: A Physicist Proves We’ve Been Wrong About God All Along. New York: HarperOne, 2009. This entry was posted in Book of Exodus, Divine Warrior, Greg Boyd, Hebrew God, Yahweh, YHWH and tagged God, God of the Old Testament, God's Character, Greg Boyd, Yahweh. Bookmark the permalink. 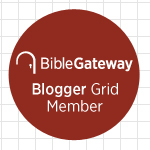 Which God do I expect to find in the First Testament? The same God who died on the cross. There is no other God. We all have to deal with the God revealed to Israel. Before you lose hope on the God of the Old Testament, wait until I finish my series and then evaluate what I have to say. Here’s an example of “inter-generational punishment”: Take David and Bathsheba, for instance. David effectively murders one of his closest and best officers, Uriah, then seduces Bathsheba, somewhat against her will, and creates a baby. Who does Yahweh punish? The baby! And Nathan chastises David for sinning against the Lord for producing a baby with Uriah’s wife, informs him that the child will dies, but doesn’t even MENTION the fact that he murdered ne of his own men! Apparently YHWH couldn’t care less about that, nor could Nathan the prophet. Why people continue to debate this ridiculous mythology is beyond me. Now a physicist(!) is going to lecture us on the “Nature of God” and try and reconcile the gross animosity, bellicosity, cruelty, and abhorrent nature that we read with our own eyes in the Hebrew Bible! Where is your objective thinking, where are your critical analytical skills? I don’t get it. I understand your feeling about the idea of intergenerational punishment. However, I suggest that you read the whole series of posts on this topic and I assure you that you may change your mind on this issue. 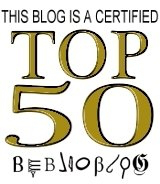 As for the death of Bathsheba’s child, I suggest that you read my three posts on this topic. Go the section on Archive and click on the link dealing with Bathsheba’s child. I look forward to this series with great interest! I have also experienced confusion in the Church regarding this topic. I love the Old Testament and preach/teach with an aim to help others achieve coherence with the two testaments. I know that this new series will be very helpful towards that goal. I appreciate your time and effort in sharing this. Thank you for your interest in this series. I hope we keep the dialogue throughout this series of studies. Thought: In the Old Testament have we created an image of God that reflects the actual reality of fallen mankind and a sinful nature? Where Christ has brought us a true moral influence and now directs humanity to the people we wish to become and who God calls us. Therefore the New Testament God is one of grace and love? Nice hearing from you again. This is not the way to express the problem. The God of the New Testament is the God of the Old Testament. There is only one God. The way to understand the God of the Old Testament is understanding what God says about himself in Exodus 34:6-7. This will be the focus of this series of studies. I hope the upcoming posts will help you gain a better understanding of God.